Wasdale Mountain Rescue Team’s mission is to: save life and alleviate distress in hostile and mountainous areas Supporting the emergency services and local community whenever and wherever our skills can be put to best use. The Team operates in a geographical area that covers principally the Wasdale and Eskdale valleys but extends over Cold Fell towards the coast in the north and onto Ulpha Fell in the South. England’s highest mountain Scafell Pike is part of our area and is the scene for many rescues. The Team members come from a variety of backgrounds. There are engineers; train drivers, builders, doctors, teachers and yes even an innkeeper! They have in common a love of the mountains and a willingness to get out of a warm bed at two o’clock on a cold wet day to rescue someone who is in difficulty. Each member has individual skills as a climber, navigator, medical skills or search dog handler. By working together they form an effective Team to find those who are lost in remote Eskdale or injured on Scafell Pike. Team training takes place one evening each month and on six full days a year. Special practice sessions working with our inflatable rescue boat on Wastwater and with helicopters are essential features of the yearly calendar. Specific rescue skills such as casualty care, using radios, rigging ropes systems for rescue and search techniques are practiced. 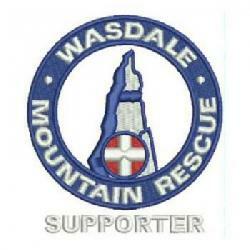 Wasdale MRT has been assisting people in the western fells for almost 50 years. 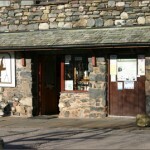 It is one of twelve Teams in the Lake District Search and Rescue Association. The Team consists of 40 fell going volunteers and several base operators. Each year we respond to between 60 – 90 calls from the police to rescue people who are injured or lost in the local mountains. We also assist other organisations when requested. For example, in November 2009 the team assisted rescuing the people of Cockermouth during the severe flooding. The Rescue Team provides a free 24-hour per day 365 days a year service to the public. We are tasked primarily by the Cumbria Constabulary who have primacy of search and rescue for inland areas.